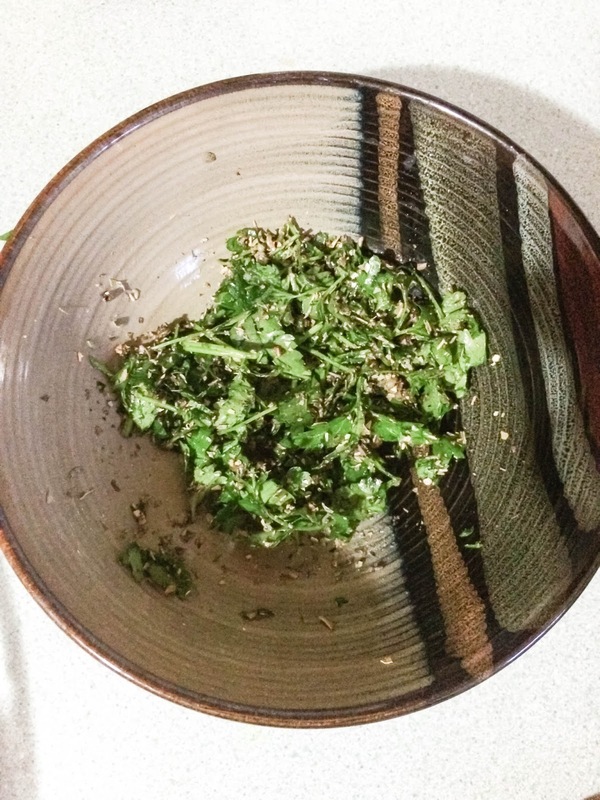 Valentina Riches : First Family Recipe in the Books! First Family Recipe in the Books! Since getting married and now having our own home, we've been gifted a couple of cookbooks but I've always loved the fact of creating our families own cook book; that with over the years we had some original and favorite recipes. Both my mother and my mother in law have already done this and I love the fact that they pass on their recipes to their children and will go down to future generations. I remember watching my mom cook and see the love the poured into her dishes and loved even watching her save her favorite and own creations in this tiny little file folder and look through them with her to see what plate she would be creating for dinner that night. So with a Binder and some paper and other fun crafty essentials, we've created the first edition to the Riches Cookbook! 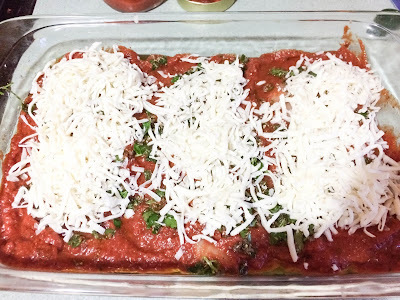 Our We decided to go with a new recipe (which I was little nervous about) but our dish was the Mozzarella Chicken, and lets just say it was mouth watering! While shopping at our local grocery store, I came across a new sauce line from one of my favorite pasta sauce companies! 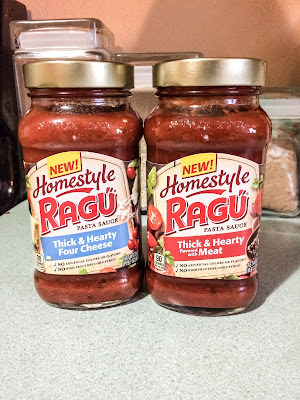 We noticed that Ragu has a new homestyle sauce line and I was excited to create my first new recipe for our cookbook with a new sauce! What better way to start off the new year!? With five new sauce flavors, Ragu is celebrating 80 years of their delicious company and have always filled their sauces with garden fresh herbs and spices. I have always loved cooking and making everything from scratch and with their sauces they do just that! They contain no artificial colors, no artificial flavors and have no high-fructose corn syrup, so you know that you are getting the healthy option! With that being said here our recipe with our new favorite Ragu Homestyle Sauce! Directions: Preheat oven to 400 F.
Get ready a small bowl and mix together all your spices. Mix spices until blended. Now that you have your spices together, it time to start prepping your chicken. With a hard decision of trying to pick out which sauce to use, i ended up going with Ragu Homestyle Thick & Hearty Four Cheese. I spread half of the sauce unto the bottom of my deep glass dish. With your olive oil, lightly cover each chicken breast. Season chicken with salt and pepper. Once that's done gather your spices and start pouring over chicken; I also some of the spices into the creases of the chicken breast! Now top off your chicken with the rest of the sauce making sure each chicken is covered evenly. Last step! 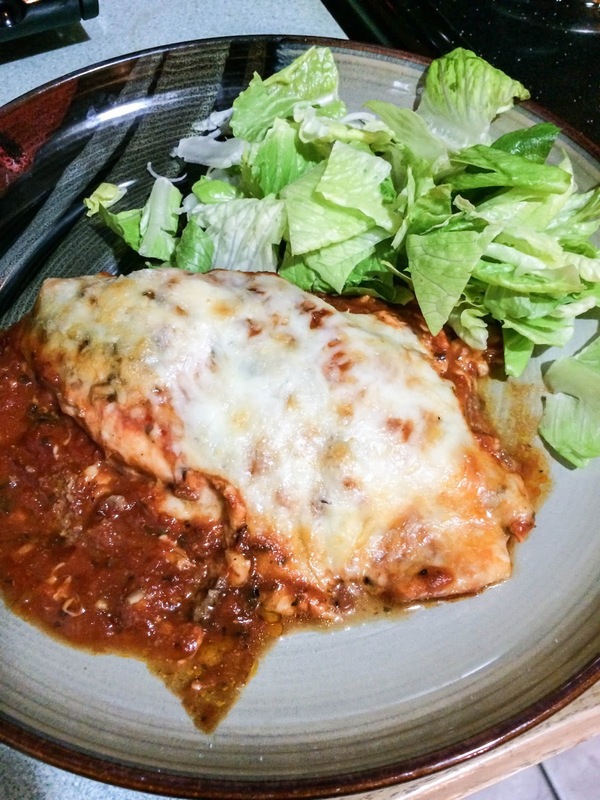 Top off your chicken with shredded mozzarella and that's it! Set timer for 20-30 minutes and enjoy your delicious meal! 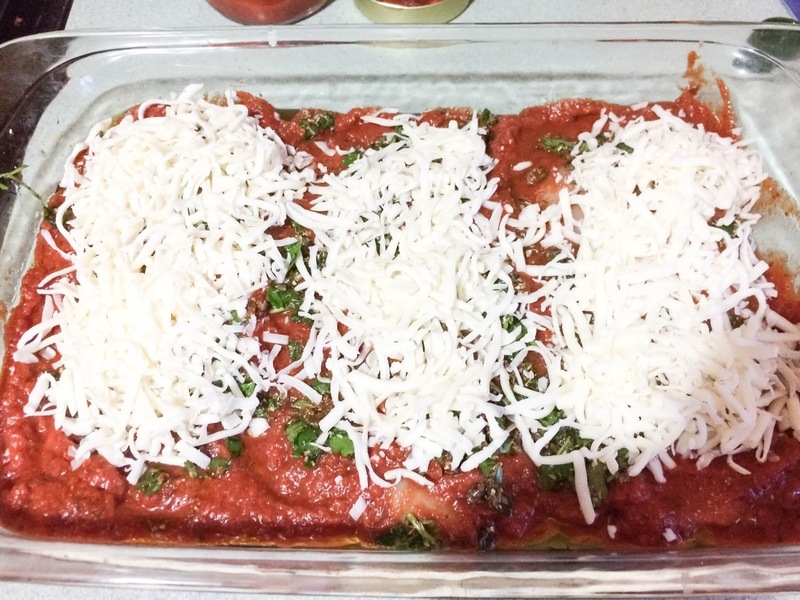 I loved creating our first new recipe and its one that I will have Mason and future kids try and have them pass down to their families! 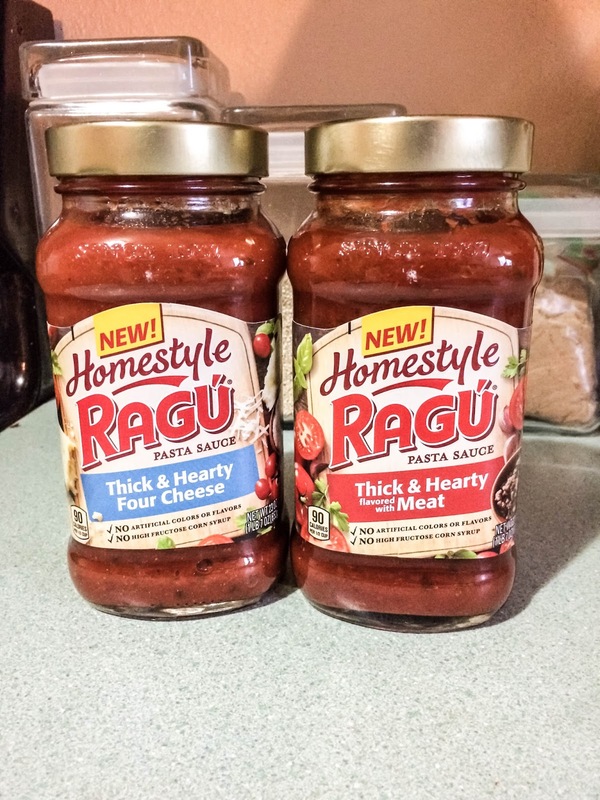 If you click below you will also find more fun recipes to make using Ragus Homestyle Sauce Recipes and see what other Ragu Homestyle Sauces they have! This sounds awesome. I am trying it for dinner tomorrow!